Both our office and factory are located in Ningbo which is very developed city and very big seaport. 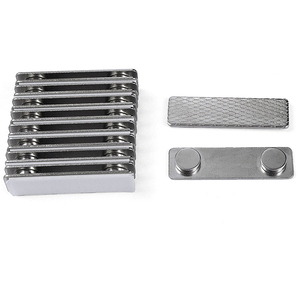 We provides you an extensive range of magnetic assembly, magnetic tool and magnetic equipment . 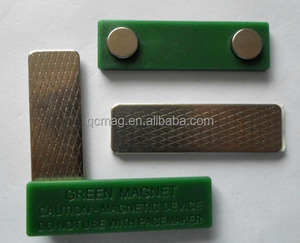 If you want to purchase magnetic assembly, magnetic tool and magnetic equipment, please feel free to contact us. Ningbo Richeng Magnetics Materials Co., Ltd.
Shengzhou Yiyang Magnetic Materials Co., Ltd.
logo can be soft enamel, cloisonne, engraved,embossed,debossed etc Usage Gifts, crafts, or collections, and souvenirs, decorations, promotionals, etc. We have 20 technicists and more than 500 workers, including professional artists to make artwork. More than 20 sale men follow up orders and keep close attention to production status. 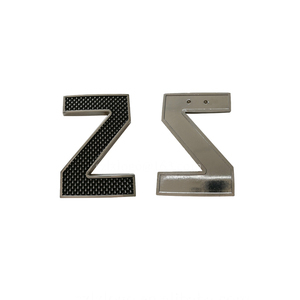 Alibaba.com offers 699 magnetic name tags logo products. About 20% of these are metal crafts, 1% are bag parts & accessories, and 1% are packaging labels. A wide variety of magnetic name tags logo options are available to you, such as letters, love, and mascot. You can also choose from steel, gold, and aluminum. As well as from business gift, souvenir, and art & collectible. And whether magnetic name tags logo is painted, casting, or polished. 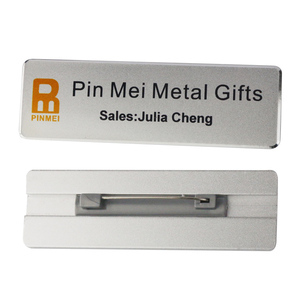 There are 699 magnetic name tags logo suppliers, mainly located in Asia. The top supplying countries are China (Mainland), Taiwan, and Malaysia, which supply 99%, 1%, and 1% of magnetic name tags logo respectively. Magnetic name tags logo products are most popular in North America, Western Europe, and Mid East. You can ensure product safety by selecting from certified suppliers, including 148 with BSCI, 86 with ISO9001, and 13 with ISO14001 certification.